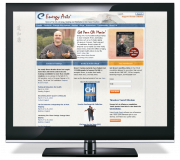 Energy Arts is a an education, training and publishing company with a mission to establish the widespread practice of Taoist health and energy systems in the Western world. Founded by Bruce Frantzis to teach energetic fitness and healing practices such as Tai Chi, Qigong, Taoist yoga and Tao meditation. Bruce's system will empower people to master their inner world, reduce stress, reverse the effects of aging, and reclaim health and joy in their lives.